This is our fourth interview with GATE toppers. 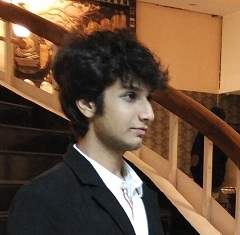 In this interview, we have Shiva Kulshreshtha who secured AIR rank 77 in GATE CSE. Moreover, in his interview, he is going to share complete GATE CSE Preparation Guide that one should follow. Thanks Shiva for your initiative to sharing your hard earned experience. Needless to say, this knowledge will be very motivative for future GATE students. 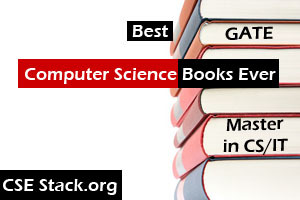 A warm welcome to you from CSEstack computer science portal. Hello, I’m Shiva Kulshreshtha from Bhopal. I’m currently pursuing my BE from LNCT Bhopal and did my schooling from Campion School, Bhopal. I got AIR 77 in GATE CS 2017. I took up CS as a subject at +2 level and felt right at home. So initially, I only liked programming. But when I took admission in college I enjoyed studying subjects like Data Structures and Algorithms. I have some background in competitive programming also, and as a result, I felt that my DSA was strengthened. I want to dedicate this success to my teachers, senior, friends, and family. All of my teachers played a significant role in this, right from building my foundations at school to having discussions with my college teachers as well as online mentors and friends who taught me. I’m also thankful to my friends for always supporting my dream. They make me believe that I can get an under 100 rank. My family cooperated with me at an ideal level. They bought a 4K big screen TV for me to watch lectures on with a high-speed broadband connection. My mom never complained about my messy room and always cooked my favorite meals. They never stopped me from going out with friends whenever I felt like taking a break, and they did not let me feel even a little exam pressure. My brother motivated me a lot to do my best in the exam and provided career guidance without getting tired of my questions. Also, my friend Ankur, who is family to me always made sure that I wasn’t too stressed at any point of time. It helped me to keep my morale high. I feel like being drenched in the rain after a dry summer afternoon, it feels surreal to this date, and I’m overwhelmed with gratitude towards my friends, family, and teachers. I confirmed that there is no such thing as a “genius”, anyone can achieve success if they like what they’re doing and they work hard, I feel like I’ve unlocked this knowledge about the world, I know it’s clichéd, but hard work really does help. Why GATE is so important to you? Since I started with competitive programming, I’ve fallen in love with DSA, programming and all of CS in general. Towards the end of my 7th year, I realized that I’ve already studied CS concepts during my engineering well enough. So that I stand a chance to crack GATE. There was also this drive to get revenge on the JEE and to prove that even students from local engineering colleges can be good programmers. Moreover, I had an aspiration to work for Google since I came to know about their work culture. And also I enjoy teaching but haven’t decided yet whether I will go for industry or academia. How to start preparing for GATE? Which subject is good to start? Since my 2nd year of college, I was involved with competitive programming and solving questions on sites like codechef, etc. This helped me build an intuition towards Data Structures and Algorithms because instead of reading it in a book, I implemented everything, as a side effect, C started to come naturally to me, I feel that C and DSA really set the stage for GATE preparation. Now my objective was not the only GATE from the start, but I wanted to crack interviews of product based companies that’s why I began with these things, someone whose sole purpose is GATE need not go for competitive programming. Also in my 2nd year, I was lucky to have a wonderful professor in college, Dr. Uday Singh at my college. He taught me Discrete Mathematics with such clarity, that one could easily solve GATE questions after studying from him. So the ideal way to start GATE preparation according to me is Discrete Mathematics. It sets the tone of logical thinking that pervades all of CS. From there, one can follow branches like Digital Logic -> Computer Organization -> OS. Another branch is TOC -> Compiler Design. So one can identify these interdependencies and proceed in that order. Night or day? What is the best time schedule for GATE preparation? I used to be a night owl for the major part of my college life. But all of that changed when I got morning shift allotted for my GATE exam. Ravindra sir advised me to set my schedule according to the exam. So I trained myself to wake up around 6 AM every day. So since I’ve been both, a morning as well as a night person, I think that both times have their own pros. At night you can get longer hours without any disturbance. In the morning you have more energy. How many hours should I study to get good rank in GATE? One major strategy I followed that I did not count the number of hours I studied on any particular day. Instead, I kept track of the number of topics I successfully covered. I think one should not set too rigid a timetable and there should also be frequent breaks. One special study trick was to keep a water bottle with you and drink a LOT of water. You will never sleep as you’ll have to go to the loo frequently and this will also give you the breaks. I feel that C programming, DSA, TOC, DBMS, OS are very predictable and scoring. Focus more on these. I advocate that one should cover 100% of the syllabus, including aptitude. In the GATE exam, you’ll have to deal with all the subjects at the same time. It is crucial to stay in touch with all the subjects. You can do this by constantly revising your old notes. This year, set 1 paper was very tricky. It wasn’t enough that you know the subjects very well, you should have excellent time management skills and ability to remain calm during the exam as there were a lot of tricky questions which even felt out of syllabus. I too got nervous and made silly mistakes in 8 questions, I gathered myself by doing breathing exercise and thankfully did well in the rest of the paper. Also, I solved one two mark question in the last 20 seconds. Never give up on the exam until the time is up, if you’re done with the paper check your answers. As I studied on my own in my four years of engineering I did not have any notes or any perspective of GATE. So online lectures helped me to gather all of my knowledge and polish it from GATE Point of View. I also prepared notes by watching his lectures. He also has excellent motivation videos and has a wonderful team who clears doubts by mail. In my opinion, it’s not necessary to take coaching for GATE preparation. Again, it is up to the individual students, whether they are disciplined enough to self-study, whether they can easily grasp the textbook material, whether they can manage the free and excellent study material online or not. For me, online coaching was the best way. I was already a fan of Ravindra sir from his YouTube videos. But it doesn’t mean that you can’t get under 100 rank without coaching. What books are good for GATE preparation? I did a lot of programming since I was in school. It gives me an in-depth understanding of DSA and C programming. From time to time I studied some topics which were not clear to me during my end semester exams from standard books. Books like Korth, Galvin, Ullman, Kenneth Rosen, Kurose, and Ross, etc. You can find the list of the books shared by experts. I had the morning shift. I had adjusted my sleeping schedule to get up early, so it was not a problem for me, I woke up refreshed. My father dropped me to the exam center while I revised my notes in the car. I was trying to remain calm and just focussed on the concepts. As soon as I started walking towards the exam center, it started raining. So I ran towards the building. I feel this workout actually woke me up and made me alert. After securing my seat, I had some water and performed breathing exercises. Ravindra sir instructs it in one of his videos. And then finally started the examination. Which section should one start while solving GATE paper? I think the section in which you are most confident in, that is the section you should attempt first. As it will raise your confidence and will help set the flow of the paper. For me, it was the aptitude section. Pro Tips: You can follow these best tips for Aptitude preparation. What are the top colleges for CSE MTech, you are looking for? I can’t make up my mind between IISc Bangalore – CSE and IIT-Bombay. So one of these would be the first preference. It is followed by Systems Engineering in IISc, followed by IIT-K, D then KGP, then IIT-M.
Keep in mind that GATE only tests engineering basics and fundamentals which you’ve already touched upon in your bachelor’s degree. One doesn’t need to be a genius to crack the GATE. If one works hard in the right direction, one can get under 100 even if you’re from some private engineering college. Thanks Shiva for sharing complete GATE CSE preparation guide in your interview with CSEstack topper interview series. There are many GATE aspirants those struggles to get good advice. We are sure, your advice will propel them forward for their GATE preparation. Wish you a very bright future! Readers, if you have any doubt or question to ask Shiva, you can comment below.